Imagine being in a deep sleep, and then receiving a phone call in the middle of the night asking if you want to come to San Francisco when you woke up. If you know me, you know the answer was not only, “Yes,” but “Hell yes.” So, I set my alarm for an early morning wake up call to at least make sure I woke up in enough time to pack a bag and pick up any last minute essentials before heading to the airport. As much as I have travelled, this was my first trip to the Bay Area, and over an 8 hour span, I decided to tackle all of the major touristy attractions to make my trip well worth it. I mean, my original weekend plans involved laundry and a feather duster, so a weekend trip to San Francisco trumps that any day. 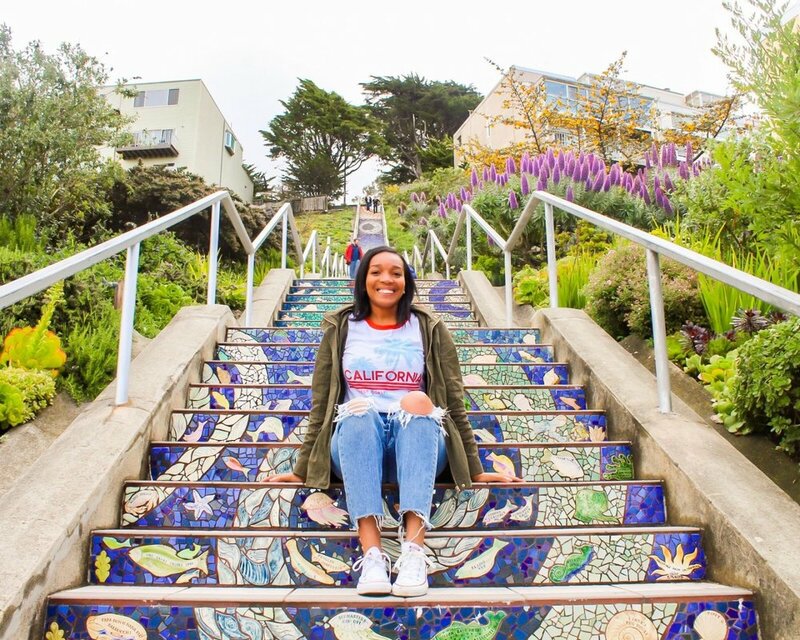 Click here to get your San Francisco city pass for discounts and/or entry to some of the most popular attractions. 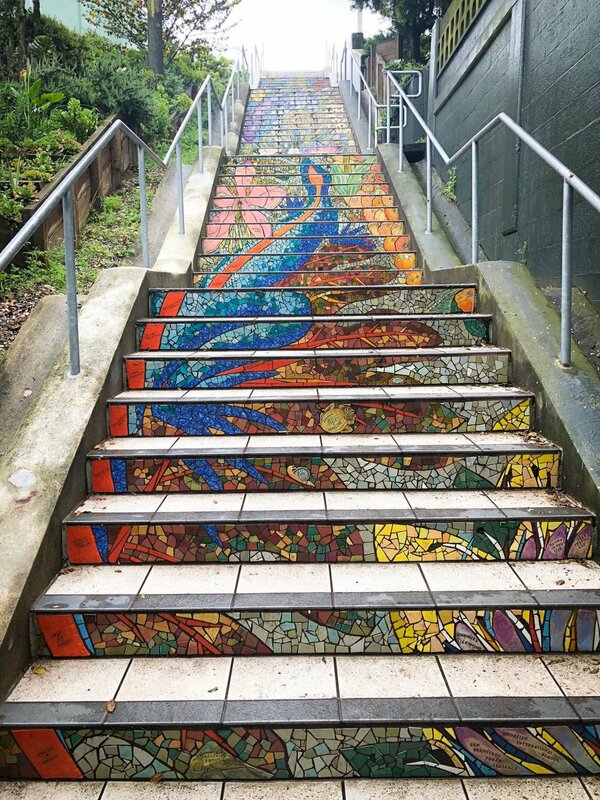 Take a picture on the 16th Avenue Tiled Steps. Disclaimer: Both the GPS systems of my Uber driver and myself seemed to be on a circular, scenic tour of San Francisco, and we had a hard time getting to this location. We finally found a nice neighborhood security officer to lead us to our destination. However, in the process, I found a little known set of tiled steps called the Hidden Garden, and they were just as spectacular as their more Instagrammed counterpart. Relive your childhood at the Painted Ladies. If you were alive in the era of Full House, then these houses should look really familiar to you? And while you’re there, there’s a nice park across the street to sit and enjoy the weather. Stroll down the Wharf and enjoy some hot steamy clam or crab chowder. There are many great spots to get the perfect chowder all around San Francisco, and on this trip, I was able to enjoy a steamy bowl at Pier Market Seafood. Let’s just say yum! Walk down the most crooked street in the world. With my self-diagnosed vertigo, I was nervous to even walk down Lombard street, but I made the trek and watched the cars ease their way on down this infamous street. Visit Alcatraz, the notorious prison and former home to some of the country’s most dangerous criminals. This tour has one of the best self-guided audio guides that I’ve ever had the chance to experience. 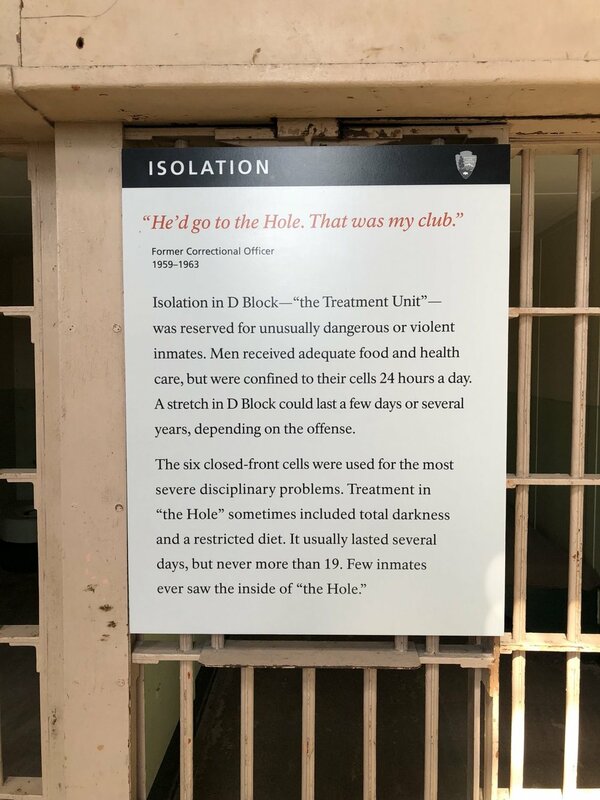 From listening to prisoners recount their days to being led into the hole, home to the worst and mostly deadly offenders, I’m convinced this is something that will make it back on my list to revisit in the future. 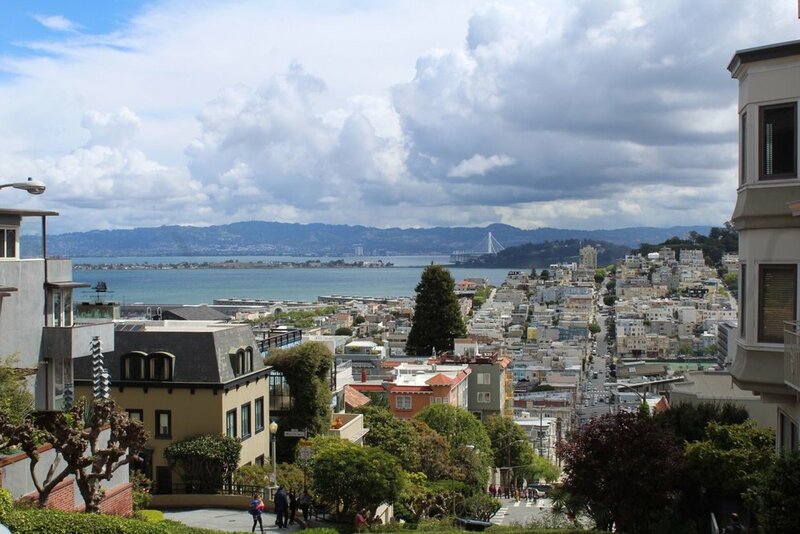 You can click here for a tour that combines Alcatraz and a San Fran city tour. Have you been to San Francisco? What are your favorite things to do and places to eat?